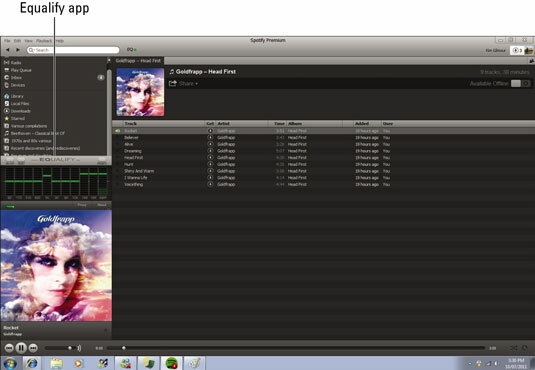 Spotify offers several tools to improve your music-listening experience. Pitchify and Equalify are just two of them. 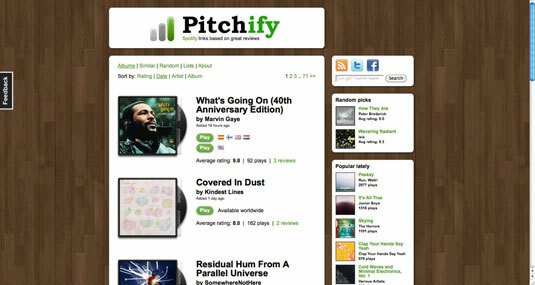 Pitchify’s slogan is “Spotify Links Based on Good Reviews.” The easy-to-browse site scans favorable album reviews from Drowned in Sound and Pitchfork — two popular online magazines — and checks to see whether those albums are on Spotify. Norwegian creator Anders Austad says on his site that Pitchify is “90 per cent automated, and I am trying to crack the last 10 per cent as well.” Links to the original reviews are included on the album’s Listing page. Anders says he updates the site every month or so with new features and small improvements; next on the list are better genre tags relating to album listings and a tie-in with music-recommendation service Spotibot. Visit Pitchify. Equalify is a free, neat little app from Norway that plugs into Spotify and gives you a ten-channel equalizer to help you gain richer sound from the track that’s playing. You need to download and install the Equalify plug-in first (Windows only; a Mac tool is in development). It’s accessible from a special EQ link, which appears on your Spotify client after you download and install the software. After Equalify is installed, you can turn it on and off by pressing the EQ button and docking the app in a convenient place (such as your Spotify window’s left sidebar).